This description of Book of Numbers is from Easton's Bible Dictionary. 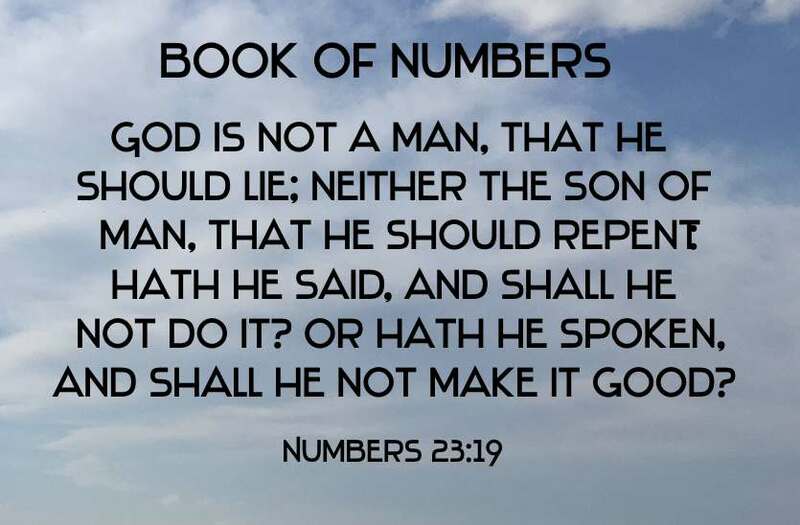 "Numbers, Book of : the fourth of the books of the Pentateuch, called in the Hebrew be-midbar, i.e., "in the wilderness." In the LXX. version it is called "Numbers," and this name is now the usual title of the book. It is so called because it contains a record of the numbering of the people in the wilderness of Sinai (Numbers 1:1-4:49), and of their numbering afterwards on the plain of Moab (Numbers 26:1-65). The numbering of the people at Sinai, and preparations for their resuming their march (Numbers 1:1-10:10). The sixth chapter gives an account of the vow of a Nazarite. An account of the journey from Sinai to Moab, the sending out of the spies and the report they brought back, and the murmurings (eight times) of the people at the hardships by the way (Numbers 10:11-21:20). The transactions in the plain of Moab before crossing the Jordan (Numbers 21:21-36:13). The period comprehended in the history extends from the second month of the second year after the Exodus to the beginning of the eleventh month of the fortieth year, in all about thirty-eight years and ten months; a dreary period of wanderings, during which that disobedient generation all died in the wilderness. They were fewer in number at the end of their wanderings than when they left the land of Egypt. We see in this history, on the one hand, the unceasing care of the Almighty over his chosen people during their wanderings; and, on the other hand, the murmurings and rebellions by which they offended their heavenly Protector, drew down repeated marks of his displeasure, and provoked him to say that they should "not enter into his rest" because of their unbelief (Hebrews 3:19). The expression "the book of the wars of the Lord," occurring in Numbers 21:14, has given rise to much discussion. But, after all, "what this book was is uncertain, whether some writing of Israel not now extant, or some writing of the Amorites which contained songs and triumphs of their king Sihon's victories, out of which Moses may cite this testimony, as Paul sometimes does out of heathen poets (Acts 17:28; Titus 1:12)."